Every 2nd Thursday of each month, West Seattle hosts an Art Walk where local businesses showcase artists from all walks of life. 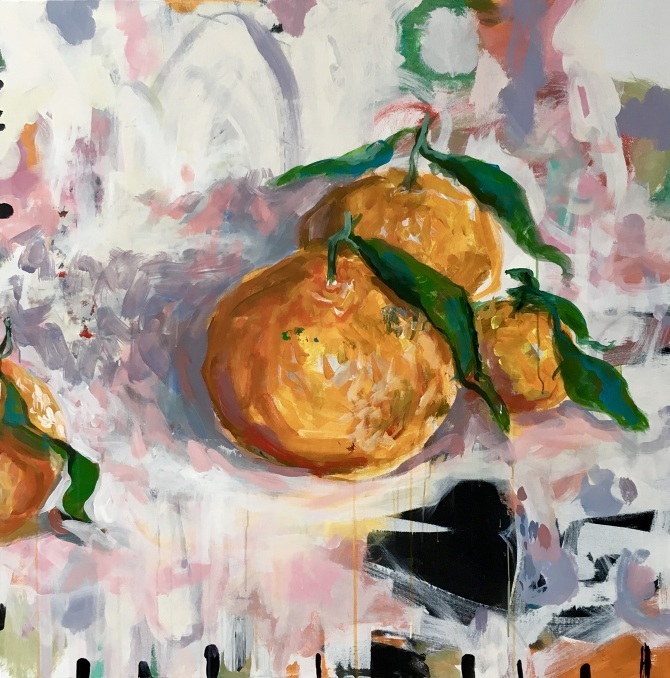 This month’s featured artist brings a twist of multi-media, using everything from oils to acrylic. What does art mean to you? To West Seattle local, Cheryl Zahniser, the process of ‘creating’ has been one of her greatest sources of joy and pleasure. 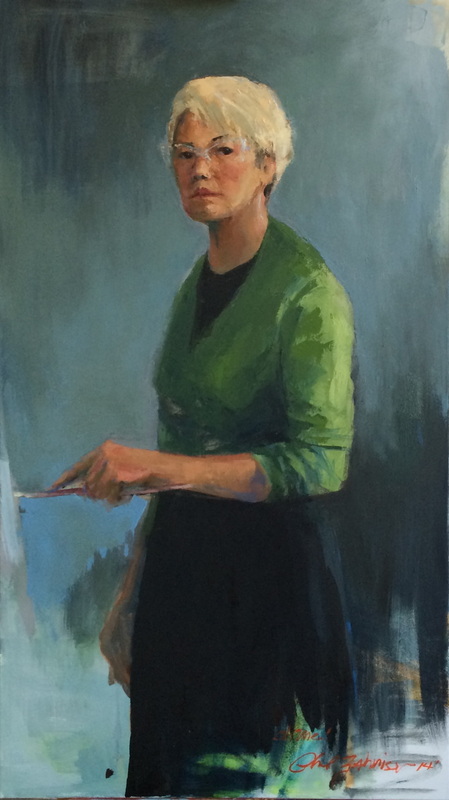 Her focus on portraiture and figurative work has enabled her to explore the fascinating personalities of individuals, and to express the vibrant colors and textures of nature in her work. For the month of October, Cheryl’s paintings (including over a dozen brand new pieces) will be on display and available for purchase in store! The collection ranges from abstract to landscapes to portraits and presents storytelling using lively colors and consistencies. To the left are two of Cheryl’s eye-catching works of art that are currently on display, called The Power of Orange x2. These two paintings can rest side-by-side or as individuals and make for a great dining room focal point. Another piece, titled “Hello Seattle”, is a large painting, depicting the view of Seattle from West Seattle’s Alki Beach. The breathtaking skyline from the corner-view has been captured beautifully in this painting. Seattlites can show support for their home town, while newcomers and visitors can respect the reflective beauty of the Pacific Northwest. “The Blues” is an abstract painting using acrylics on canvas. This art work is wild and fun, yet up for interpretations. 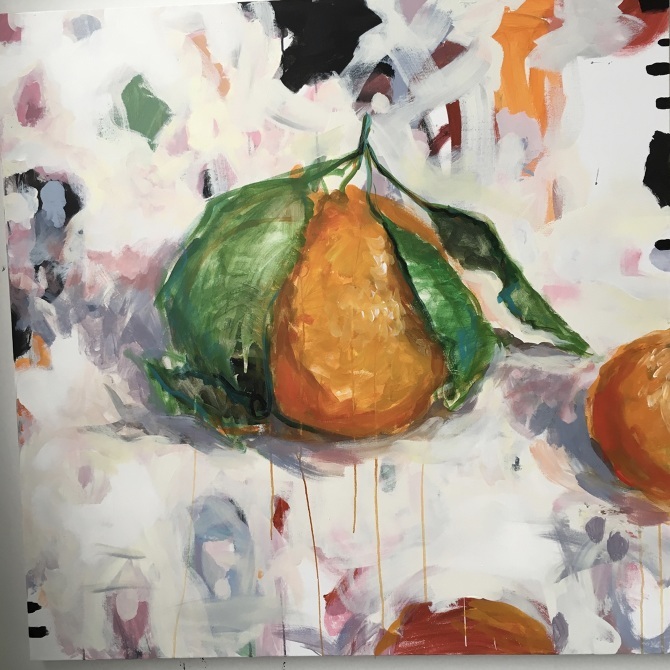 Cheryl states that she loves the sheer physical involvement it takes to move paint on a large canvas. Because of her enjoyment in the activity, many of her paintings are on very large canvas. Her wide array of talents are best seen in person, where the texture pops out and is defined. Cheryl’s self portrait, featured on the right, depicts how she Cheryl sees herself. She has studied with many well-known artists and continues to pursue her love for art while exploring different mediums. With many of Cheryl’s incredible works of art in store, CAPERS is excited to invite all art lovers, furniture enthusiasts and gift seekers alike to come and enjoy the sights and scents. To view more paintings, visit https://cherylzahniser.com/.